On the back of the 66-4 drubbing of the Huddersfield Giants, coach Justin Holbrook makes two changes to the 19 man squad, with Zeb Taia and Mark Percival coming back in at the expense of James Bentley and Jack Ashworth. His counterpart Ian Watson makes changes to his side, some enforced, with Lee Mossop returning after missing their Wakefield win due to concussion, whilst former Saint Lama Tasi is also back in consideration after recovering from illness. 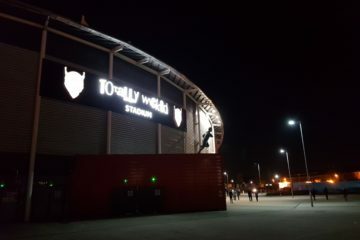 Salford dangerman Robert Lui misses out after picking up a calf injury last week and Weller Hauraki remains sidelined. Jake Shorrocks, on loan from Wigan, may deputise for Lui. 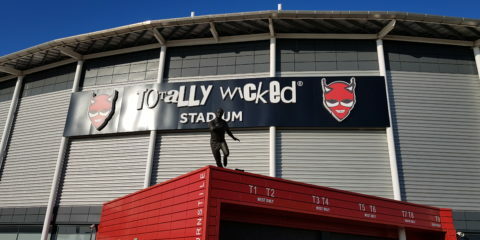 Salford will be buoyed after dismantling Wakefield, the week after Trinity had narrowly beaten Saints. While Ian Watson lauded his side’s performance in the game, opposite number Chris Chester bemoaned his side’s application. 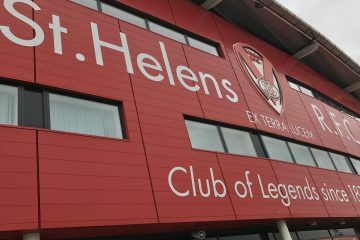 It could be that the Saints win had taken too much out of Wakefields tank but the red vee must be wary of a pumped up Salford side who are being coached admirably by Watson. After Saints own tremendous performance on Friday I’m predicting a Saints win by 16. Saints: 1. Jonny Lomax, 2. Tommy Makinson, 3. Ryan Morgan, 4. Mark Percival, 6. Theo Fages, 7. Matty Smith, 10. Kyle Amor, 11. Zeb Taia, 12. Jon Wilkin, 13. Louie McCarthy-Scarsbrook, 14. Luke Douglas, 15. Morgan Knowles, 16. Luke Thompson, 17. Dom Peyroux, 18. Danny Richardson, 19. Regan Grace, 20. Matty Lees, 23. Ben Barba, 30. Matty Costello.